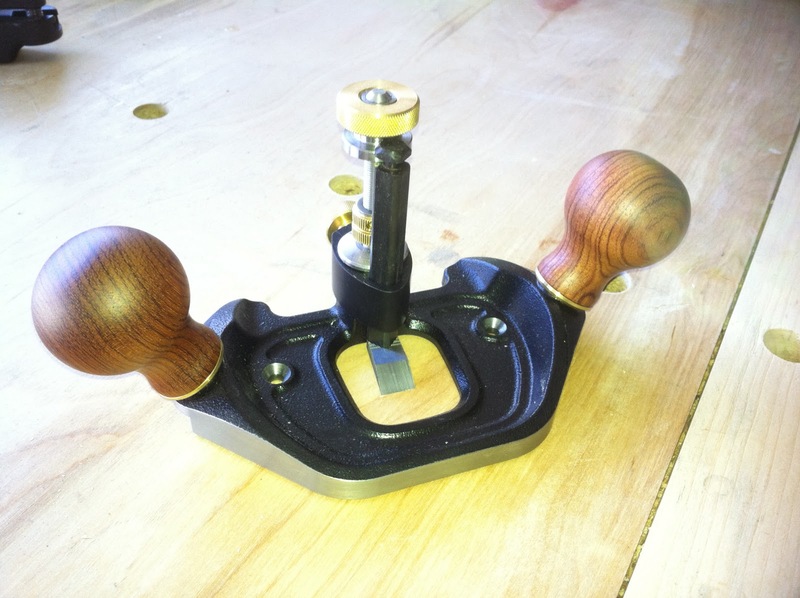 My wife recently surprised me with a Veritas Router Plane and Router Plane Fence. She knows that I am like a kid in a candy store when it comes to new tools. I have always wanted a router plane but only had one occasion to even use one, it was a class that Marc Spagnuolo (The Wood Whisperer) was giving at the Highland Hardware Store here in Atlanta. I loved the tool and immediately thought of a thousand used for it but only added it to my wish list. My wife always keeps a few tool magazines for herself and when I mention something that I like she circles it for a surprise at a later time….I know she is great. 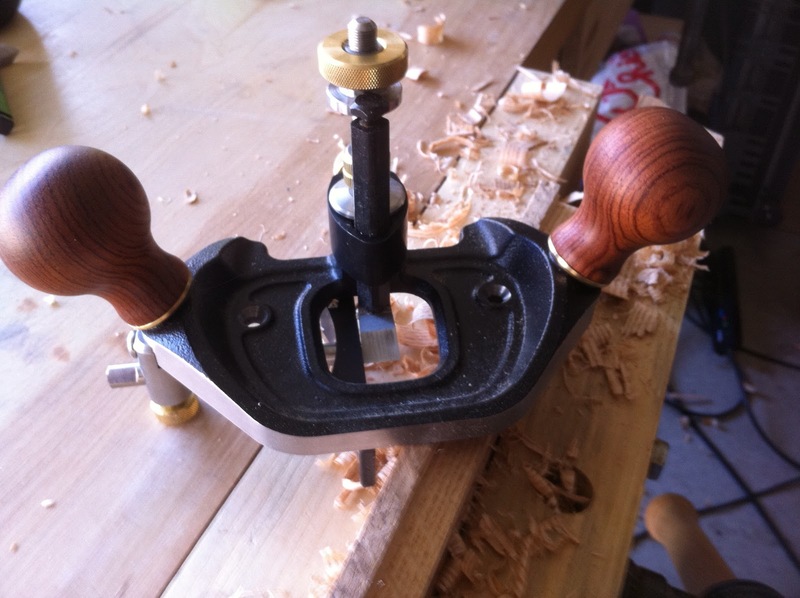 Like all Veritas the router plane was sharp right out of the box. A little honing is all that is needed but I like to try the tool out before honing just to see how it does with the factory edge, and this one did great. The plane comes with a ½” pointed blade, ½” straight blade, and ¼” straight blade. I started by trying the router out on a dado. I used my table saw to make a rough dado in the middle of an oak board and rough cleaning it out with a chisel. I started out with the 1/2” straight blade the blade occasionally chattered but I soon learned how much I could drop the blade at one time to prevent chattering. After switching to the ½” pointed blade I was able to cut deeper with each new adjustment but the blade does leave the bottom of the dado at a slight V instead of flat. It seems as if for a dado the best is a combination, the pointed blade for the rough work and then the flat blade for the final flattening out of the bottom. The end result was a very clean dado with a very precise depth with I checked with my micrometer. As I said starting out my wife also bought me a fence to go with the router plane. I decided to see how well the fence worked by making a rabbet on the same board’s edge. Straight out of the box it took me a few minutes to find the screw that holds the fence onto the router, I looked all in the box but then realized that the screw is stored in the end of the fence shaft, I guess I should have read the directions first. After installing the fence I decided that this time I would not rough cut the rabbet with the table saw but instead use the router plane to complete the entire cut. I quickly learned that like any other plane you have to be cautious of grain direction. The first attempt I cut to deep and against the grain and ended up with some pretty bad tear out. I started with the pointed blade flush and only dropped a quarter of a turn at a time, after not getting the results I wanted I switched to the straight blade. I was able to control the cut much better on the rabbet cut with the straight blade and after about a 1/8” down on the cut I was able to make a full turn (1/32”) with each adjustment. The only issue I had was that I was trying to make the rabbet cut on the board’s edge rather than on the face. 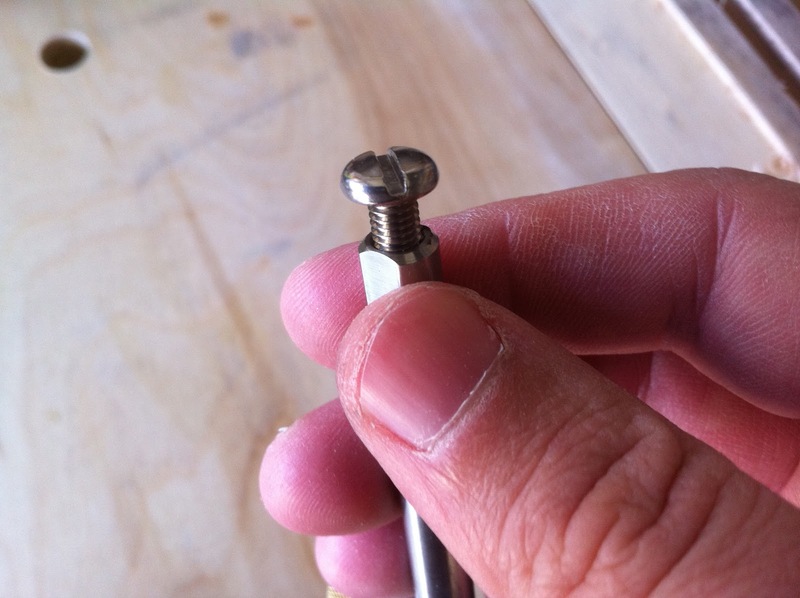 Part of the reason I did this was because the board was so small and I wanted to clamp it in my bench vice. It would be better to cut the rabbet using the face of the board as you have more area in which you can hold the plane flat. I had a tendency to tilt the plane but was able to make adjustments to give me a clean right angle before I was complete.